The “culture of innovation”: misnomer, oxymoron, myth or chimera? In the opening piece of the Summer 2017 issue of MIT Sloan Management Review, Paul Michelman writes about diminishing importance of corporate culture in the age of networked enterprises. Obviously, not everyone agrees with Mr. Michelman, and the whole discussion just highlights our near-obsession with the “cultural” aspects of business operations. Nowhere else has this phenomenon reached such an epic proportion as in our dealing with the proverbial “culture of innovation,” a subject whose popularity in business literature and social media can only be matched by the extreme fuzziness of its definition. However, in my opinion, the very term “culture of innovation” is a misnomer, if not an oxymoron. No matter how you precisely define it, culture is about sharing: sharing perceptions, thoughts, beliefs and even behavior. But the implicit homogenization that the sharing tries to achieve is completely antithetical to innovation, which is about diversity. A growing body of evidence (summarized in a 2014 article in Scientific American) shows that socially diverse groups, that is, those with a diversity of race, ethnicity, gender and sexual orientation, are more innovative than socially homogeneous groups. It is exactly a conflict of backgrounds and experiences, not their sharing, that makes innovation happen. Why then is the myth of “culture of innovation” so sustainable? I suspect that the major reason is that the frequent—and often empty– talk about it allows corporate leaders to take a hands-off approach when it comes to developing innovation strategy and establishing innovation processes. I was quite amused to see the data presented in a recent PWC’s report on innovation surveying 246 CEO’s from around the world. The captains of industry cited “existing organization culture” as one of the top three obstacles preventing their companies from being more innovative. Think about that for a minute! Why would a CEO view an “organization culture” as something that is completely out of their control, like a natural disaster or act of war? Is it not their direct responsibility to design and implement policies fostering this culture? Apparently not. In recent years, many CEOs have mastered the art of talking about innovation, delivering well-rounded answers to friendly questions in non-confrontational surveys and interviews. But a frighteningly large number of them still demonstrate a cloudy vision of the very fundamentals of the innovation process. Too many CEOs don’t consider overseeing innovation process as part of their jobs, proudly claiming instead that “in our company, innovation is everyone’s job.” That’s where a non-stop talk about the culture of innovation comes so handy. Making stock option grants, as opposed to cash bonuses and other monetary rewards, the principal incentive for engaging employees in innovation projects. Placing employees involved in innovation projects on fixed-term employment contracts, as opposed to employment-at-will. Alternatively, the creation of tenure-like job arrangements for people involved in strategic innovation initiatives can be considered. Real corporate innovation begins with structure and process. And if you keep perfecting them, while communicating the results to the rest of your organization, then sooner or later, a habit of repeated innovation will emerge. You want to call this habit culture? Be my guest. p.s. You can read the latest issue of my monthly newsletter on crowdsourcing here: http://mailchi.mp/324919f20cae/gaining-steam-overcoming-resistance. To subscribe to the newsletter, go to http://eepurl.com/cE40az. This entry was posted in Innovation and tagged Culture of Innovation, Innovation, Innovation Management. Bookmark the permalink. 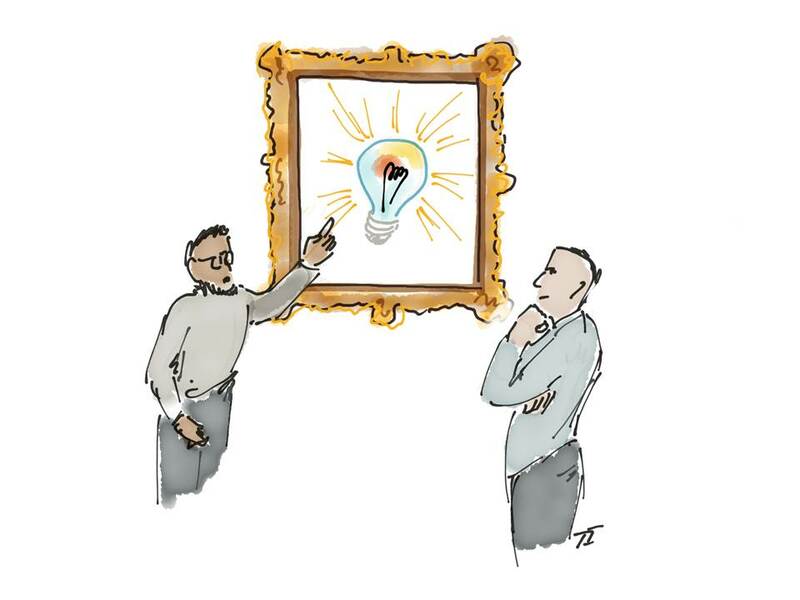 4 Responses to The “culture of innovation”: misnomer, oxymoron, myth or chimera? It is true that some CEOs and the upper management generally do not have a good view of how innovation fits into their corporate framework. And the end result is framing of innovation guidelines or strategies that are difficult to sustain and faulty. The other important negative consequence of this is the quality of output from the innovation or invention pipeline. I think It is better to get less of quality output rather than a higher amount of low quality output (which amounts to more money being spent in managing them). I can fully support this view. In my discussions with industry leaders I experienced that they do not realize that the innovation process would be their responsibility. Sometimes they agree that the job has to be done but in the next moment they try to delegate it to somebody else in the hirarchy.